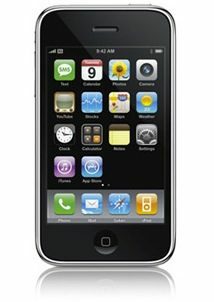 You can use any iPhone, iPhone 3G, or iPhone 3GS as a pay-as-you-go phone through AT&T’s GoPhone program. AT&T doesn’t officially support using GoPhone with iPhone but that doesn’t mean you can’t do it, and it’s actually much easier than you might expect. You will be able to make calls and use prepaid data, and the best part about this… it does NOT require a Jailbreak! The best way to do this is to buy a really cheap GoPhone, which is usually a refurbished older Nokia or Samsung cell phone for about $25, and then yank out the sim card and swap it into the iPhone. Once you have the new GoPhone sim in the iPhone you can use it as you would with any other prepaid phone and make all the calls you want. To test that the prepaid data plan is working, disable WiFi on the iPhone and look at the upper left carrier signal to see if Edge or 3G text appears, this will show you if the data plan is working. If data doesn’t appear to be working, restart your iPhone and things should work fine. This solution is described with screenshots by TheAppleBlog if you run into any confusion. This exact process works the same on other carriers around the world, according to TheAppleBlog. The necessity of this varies from region to region though, as many countries have pay-as-you-go iPhone’s already available. The prepaid feature is not offered in the USA, thankfully it’s not that difficult to get around! What about a prepaid iPhone 4? Update: Here’s how to setup iPhone 4 as a pay-go phone, it’s pretty simple. Update 2: Supposedly the CDMA iPhone 4 can be used on Cricket Wireless too, but it requires a jailbreak and some fees from Cricket. The same process will work with the iPhone 4 as well, but since the iPhone 4 uses a micro sim card you would have to either trim down the prepaid sim which is a tedious process, or find another solution. If you plan on doing this, you’ll still need to buy iPhone 4 without contract which will cost quite a bit. Apple COO hints that cheaper iPhone and prepaid iPhones may be coming? does at&t even offer a prepaid data plan? Yes it does. You can go the walmart and it is back where the phones are. They are called Go phones. go to at&t and get a new go sim card. if u buy a prepaid phone the sim that comes with the phones are locked to that phone for 6months.. so just get a new sim from at&t and it’ll work fine. 1.after you insert the sim reboot. 2.do you have a repaid sim card activeated with the said courier.must have paid money on the card to work. I regularly change out my sim data card with pay as you go card using both cards on a 3GS and have no problem. This is great news, however the data plan works out to $10/megabyte on prepaid. Maybe useful if you’re stuck in the middle of nowhere and want a google-map, but otherwise about the worst financial situation ever. Hard to believe there is no pre-paid data plan on a SIM available in the biggest, richest, tech-famous country in the world. Even harder to believe you can get a $20 unlimited plan on an iPad that is prepaid, but not on a phone…. AT&T ATT Orange Sim Card 3G GoPhone? My wife will be travelling to the US and will be there for a week, phone is a priority although dataplan would be nice. Any further suggestions? Yes that should work but you should get Skype as a backup since you can use Skype over WiFi if all else fails. I did a jb and unlock on my iPhone before taking it to Europe and just bought a local sim, worked fine. I’m wondering if anyone has had experience taking an existing, active iPhone account with AT&T from a regular “post paid” account to a prepaid one after their contract expires. There are ways to get an iPhone up and running using prepaid accounts (you can Google it to read more), and even get data going, but everything I’ve read has to do with taking an unused iPhone and putting a GoPhone sim in it. I have an iPhone that is out of contract but still in service, and want to take my existing phone number with me and do this. Have you called AT&T to see if you can transfer your number over to a GoPhone account? I would start there. I just transferred my iPhone to a goPhone account with AT&T and kept my AT&T phone number. It was hard to get them to do it. I had to go to two different stores until I found a cooperative store manager. The period is part of the written word. You can find it on your keyboard. Try it. You may like it. It will make reading your posts so much easier. I would be careful with sims from other prepaid phones. The sim cards are locked to the prepaid phone for 6 months. I went to an AT&T store and just asked for a sim card… any AT&T sim card will work. It didn’t cost me anything. I activated the sim card online and had no problems. i am having problem di u just *611 from the prepaid activate the ntake out? It says the SIM card is locked to the GoPhone, but that is not true. I bought an GoPhone, took the SIM card out and put it in an IPhone, activated the SIM with the GoPhone IMEI number and the IPhone works perfectly. What type of gophone did you purchase? when you went in the store. how did you ask for a sim card. What exactley did you ask att? And how did you activate it? Thanks Peter. I’ve checked, and you can transfer an existing out-of-contract iPhone number to a new GoPhone account. And, yes, I have a brand new not-yet-activated sim card, and I understand I can activate it pretty easily. But can I activate it and give it my existing (iPhone) phone number? I don’t have a GoPhone, incidentally (or any other phone). Like I say, it doesn’t sound that hard to set up a *new* prepaid account with a new phone nuber on an old iPhone; I just want to see if there’s a way to keep an existing phone number in doing so. I think I am in the same situation. I have an iphone 3g at the end of its contract. I would like to keep the number on the iphone but switch to prepaid Go Phone minutes and worry about the data plan later. I really want to keep my iPhone with the existing number. Anyone know an workable way to do that? I just bought the $20 unlimited data plan for an iphone-gophone.. At first it wouldnt work then I came accross this website and it seems to be working VERY well. THANK you a ton for figuring this out. I was going nuts. Im omw to AT&T to pick up another data plan thing for my girlfriend..
Is it actually unlimited, or is it gonna run out? The people at AT&T informed me its unlimited, and you cant go OVER. Well I got it to work in my girlfriends iphone, but im having problems with mine. we both have a 3g, but hers had os4 on it and mine is on 3.1.. any suggestions? Make sure you activate the sim card before bringing it to the iPhone (do this on the goPhone to be sure or you can try online at AT&T, basically make sure it works already on AT&T by making a phone call or text). Then I would make sure you have the proper carrier file and settings. I did this successfully but I also have an unlocked/jailbroken phone, I am not sure if that makes a difference. Ok so I thought it was because it was 3.1, so i updated to 4.0.2 and jailbroke it, do I still need to unlock it or something? I tried the APN thing but when I click create profile it says it cant create the profile. Its frustrating. any help would be appreciated or insight for that matter. i bought an iphone 4 without contrat from apple . my question is… can i cut down the normal sim car from a prepaid plan and run it in my iphone 4??? Have you found out if it is in fact unlimited data? Will At and t charge me for using the data doing it the way this article describes? Susan, you can *always* use your wifi for free. It will not use minutes. I have a 3G, with a GoPhone SIM (had to call AT&T to remove the SIM’s “binding” to the orig Nokia GoPhone that I bought 10 months ago). Luckily, my SIM is data enabled. I just purchase a data plan online on the GoPhone accounts website (have to login to AT&T — paygonline.com). I just get the $20 for 100MB, valid for a month. There is another plan that is $5 for 1MB, which does not make sense get. I am thinking of purchasing a friends iphone. He upgraded to a torch so I believe the iphone is off of his account. I would like to use it on att prepaid. My only question is what about activating it through itunes? Does this process bypass that? Thanks for your help! Hey i have a 3G iphone 8G had bought thre phone using another friends name service the bill got to out of hand sharing the plan got stuck with the phone do not want to get rid of it but can i buy a pay as you go 3G wireless that way i can still use my wireless on the phone and pay per month and not have to connect to any unlocked wireless network around me? My brother from Canada just gave me his iphone 4 (unlocked). I have a really old prepaid sim card, bought it when it is still called Cingular, it is a 64k smart chip, do I need to purchase a new 3g sim card in order to work with the iphone? The plan that I’m on right now is called “25 cent min w 10 cents m2m”, will it work with my new iphone. I guess I should switch to Simple Rate Plan, I couldn’t add data features to my current plan. YEA U HAVE TO BUY A NEW SIM CARD THAT ONE IS REALLY OLD !!!! hey guys just picked up a 32g 3gs, went and got the gophone setup went well able to make calls etc… but if im not in a hot spot cnt use safari. i went to the unlockit.co.nz and im not seening the continue button plz help..
What do you do if there is no carrier for your country (ie Lithuania Tele2)? let me get this straight,I CAN GO BUY A CHEAP PREPAID PHONE from at&t take out the sims cadr and insert it in a new i phone ,but first accitvate the sim card in the cheap phone first then my i phone has become into a prepaid WOW thats soooooo cool if it work I find it too easy to belive. Does this also work on other prepaid plans? I’ve found plans cheaper than AT&T. Will it still work on something like Tracfone? Can anyone please tell me what 100mb of data is good for? Like, how much could I use the internet on 3G? I’m online a lot, but not necessarily for extended periods of time. Mainly it’s just email and google searches. Thanks. sending/receiving a one-page email with document attached: 75 emails + web browsing: 200 pages + downloading/uploading a photo to social media site like facebook: 25 uploads + stream a one-minute youtube video (standard qulity): 10 minutes. Around 550 web pages viewd in total if 100 mb. Picked up a go phone and activated it a few days ago. Used it while my used iphone was in the mail. iphone came today. I put the go phone sim in but no dice? The iphone says no service. How should I proceed? Now it does say… “waiting for activation–this may take some time” but the sim is already activated? You don’t need to buy a gophone cell phone to get the sim card. Just go to an AT&T store and ask for a gophone sim card. It costs $25 and it comes with $25 of balance. I did this for my iphone 4 which I bought from apple store with no cotract for $600. Mario, you can buy a GoPhone at Dollar General for $10 on sale with the GoPhone SIM. But it won’t work in an iPhone! at least the first gen with OS 3.1.4 I did buy a regular AT&T SIM on eBay, (also from AT&T) and subscribed to the Senior 200 plan, so no contract, which I activated on my $10 GoPhone, then transferred it to my iPhone. Then I had to go through iTunes to activate it on the iPhone. So now I have a no contract, no activation fee iPhone for $29.99 a month plus $20 data plan that gives me 200 anytime minutes, 500 after hours minutes and unlimited “mobile to mobile” minutes…but NO rollover! I also bought a Motorola Razr V3 for H2O mobile from my local Fred’s Store for $30 and can transfer the SIM from the iPhone to that when I don’t want to take the more bulky iPhone out….it actually has much better sound quality, but no Apps. BUT contrary to many articles I read on-line, the GoPhone SIM will NOT work on the iPhone or for that matter the Razr. It only works on the original $10 Samsung. I have also read that since H20 runs on the AT&T network, if I activate it as a prepaid phone, it should also work on the iPhone as well as the Razr. By the way, the AT&T SIM costs $10 on-line from AT&T or on eBay, but the H2O SIM is only $1.00 on eBay (or $10 from H2O). By the way, they sell the sim card already activated, so there is no need to activate it online or anything else. just read that you bought an iPhone 4 without contract. So every iPhone will work with my usual AT&T simcard which i have to refill with unlimited texting every month and balance as soon as it’s gone? or what simcard do i need? Hi Mario, So u bought the $25 sim card from AT&T. Did they give you the Micro Sims or Normal Sims? put gophone sim in Iphone 3g, but it says “new sim detected connect to I tunes” Itunes says I need to call customer service to activate?? Will ATT active this configuration if I call them? Thanks. Apparently the go phone sim cards are locked to the phone for the first 60-90 days. I called customer service and they unlocked it. Now the phone works great. When you enable data do you need a data package? If you will primarily use data in wifi spots but just want the ability to connect (just in case) while away from hot spots do you need to add a data package? In other words if I don’t log onto the internet while away from wifi will my phone access the internet and deplete my prepaid card? Travelling to USA. On my list to do, go by AT&T, buy $25 SIM, insert into phone. Then it should work. I already have a T-Mobile SIM, will that one work? as far as I see data plans for prepaid is extrememly expensive. where do you see 20/mo unlimited data? I see 20/mo for 100MB. hello can you give me some information on how you worked out your iphone with the prepaid plan?! Can you elaborate on what u had to do to get the data plan to work? I followed the instructions to a T, but only have phone, SMS service and only have Internet through WIFI. I even tried reinstalling with other US carriers. My phone was unlocked yrs ago so I don’t know if that makes a difference.. Thanks for any help u can offer! Has anyone tried going into an AT&T store to purchase an ACTIVATED sim card for use on their iPhone? I purchased an unlocked iphone and a new unactivated gophone sim card online, but keep getting an error message when I try to activate it with my iphone on at&t’s website. Do i have to activate the card on another phone and then switch the card to my iphone? Could I just put the sim card in the phone one of my friend’s phones to activate it and then switch it to my phone without it impacting their service? Blackberry hahahahahahahahahaha! You crack me up! Can I use my iPhone 4 with a pre paid plan? Can I use my iPhone 4 with a pre paid plan??? Does this process also enable the use of apps–downloading and using? This may sound like a silly question, but I am new to apps (and know nothing about iphones) and I want to start using them, but don’t want to spend money on a contract…yet. This works 100% for the iPhone 4. FYI, I got an at&t SIM with my iPhone 4 even though I got it ‘off contract’ so I paid full price. Still locked to at&t but now I can us my PAGO 200Mb data plan and no need to sign a 2 year contract. Dose it work with thi iPhone fore? Nice website, but a bit odd, I jumped straight to the comment page from your home page … I’m not sure if that is supposed to occur? Yes. It does enable app downloading. BEen more than 2 months and My girlfriends iPhone 3GS 4.1 works with her go plan. i have an iphone w/ the h20 unlimited plan, however when i go to download apps from the app store it wont allow me to. do my phone have to be jailbroken? Ok I have read over all 71 comments and I still have 1 question that seems to have gone unanswered..unless I’m just not understanding. If I go purchase an activated gophone sim and put it into the iphone…is my only option for data the 200mb plan??!! I only use the web for maybe facebook every now and then and google searches..but I want to be able to download apps and use the web without it costing me an extra 500 a month!! Please help! – Is your iPhone unlocked??? If it is, definitely get a tmobile sim card and use their UNLIMITED data service for $1.49/per day. Put $10 on your sim card and u can use the data service on EDGE for 6 days. Don’t worry about having to use it everyday! You have 90 days to use up those 6 days however u want. Frank- maybe u should upgrade your OS to 4.1, it seems to work well with that. Hello, I have read all of the comments on here so far and they are very interesting. I just bought an used iPhone 3g from my cousin that was unlocked and I had put my GoPhone SIM card into it which I had for a year now. I do not want a contract so I had put my GoPhone SIM card into the iPhone 3g and worked!!! The only problem that I am having is that most of the time I do not have NO SERVICE and its frustrating. I have noticed that I do get service in certain areas. Are there any suggestions??? Also, how do you upgrade to 4.1? The 200MB plan is NOT an option for a prepaid sim. The only one that’s worthwhile is 100MB for $20, but even that’s fairly pricey. So you’ll want to download apps and watch video using WIFI, not 3G. So, this is what I did. 1) Bought an unwrapped new iphone 4 (clean esn) over the internet. 2) Called ATT 800-331-0500, said “customer service” to the system, as the option is not provided. 3) Requested the person assisting me to transfer my old pay as you go line to a new sim. I gave her the old sim number ICCID and the new micro sim’s ICCID. The micro sim was the one that came with the unwrapped phone. 4) Provided my Iphone’s IMEI. 5) ATT advised that this was an iphone and that they could do the transfer but I would not be able to use the internet. I agreed and line got transfered to new Micro Sim. 6) Connected iphone to my itunes and immediately the phone showed a message that it was activated. 7) I am now able to use my pay as you go in my new iphone 4. 8) I jailbroke it using greepoison, and changed the APN through unlockit.con.nz to ATT and now I can use internet as well if I wish. u said u can use the internet, but is that only with wifi, or can you use the 3g network, aka use the internet anywhere? this method doesn’t work with my softbank 3gs. jailbroken or otherwise. I did everything step by step on iPhone 3GS 4.2.1 jailbroken nd not wrking at all. Could you buy apps with a prepaid sim? Yes, u can. Just make sure you have enough money on your att prepaid account. I use an unlocked iphone on tmobile and download apps all the time! DOES YOUR IPHONE HAVE TO BE JAIL BROKEN TO USE THIS ENTERNET??? Just unlock your iphone and use tmobile! You get unlimited data on EDGE only for $1.49/per day. Depending on how many bars show for your iphone, Apps should download pretty fast. If you have the AT&T pay as you go plan, make sure you have an alternative, which would be $10 tmobile pre paid sim. If only using the $10 tmobile sim card for data service only, it will give you 6 days of “UNLIMITED” internet usage on EDGE only! @ Raph, How much did she put in her account? Is she using AT&T or Tmobile? I would like to know how you guys were able to activate usage of 3g! She gets $60 withdrawn from her account. (39 for a few hundred minute, no longer available, and 19 for unlimited text message). shes using att. instructions to use 3g are above but here they are again. she did not purchase data package and I would not recommend it either because like I previously said she got charged randomly for internet usage. I follow the instructions right above to unlock the usage of 3g but I realized that’s not worth it either. The truth is, use your iphone with wifi and that’s it. Ok, I’ve read all these awesome informative posts and would like to move forward but have one question… do you think this Go Phone prepaid sim card will work in my older iphone 16gb and an even more embarrassing ? lol, how do I get the sim card out? Did you get it yet? My old iPhone works fine as a prepaid. I jailbroke it so I can use the Internet and everything. You need to use a paperclip — bend it so it’s straight and stick it in that itsy bitsy hole on the top and the sim card should come out. If I remember correctly. yes to ur first question, and google it to your second question. Sha has Att and She had about $100 but over the nexo three months they took about $20 on top of her monthly billing. I’ve read all the posts and am wondering if it’s possible to go back to using the iPhone under a contract after chanding it to prepaid and if all apps and saved info and such gets erased from the phone. Have people really found pay as you go more economical? I can’t decide if I want to take that step. I followed the steps – purchased a cheap Go Phone with active service. (Made one call to confirm service.) Swapped the Sim Card into an original IPhone. But the IPhone searchs then says “No Service”. Did I miss a step? wow this is awesome, i get to browse the internet with my iphone 4 with my prepaid at&t pay as you go sim card. att charges $15/100mb and $25/500mb..
how come its not enough if its jailbroken? does it use more data when jailbroken? Well, here are tweaks when you jailbreak a phone that youcan install like weather app on the status bar, it refreshes every 5-10 minutes. Even though is not a huge consumption of data, it still uses some. When I look up Pay as you go lans on ATT I see 2 smart phone options. Would these work with iphone 3GS? They are $2 a day unlimited talk and text or 10 Cents a minute talk plan and you can add text plan 200 texts for $4.99, 1000 texts for $9.99 or Unlimited texts for $19.99. Data plans can be added to both $15 for 100MB and $25 for 500MB. Would these work on the iphone 3GS? There are other plans, but they are not listed as smart phone. yes, it should work. you can even call att and tell them you bought an iphone off contract and you are thinking about getting a to go plan. I have this exact setup with a 3GS and it works great. Also, iv you renew your data plan on one of the last days of the 30 day period, you keep any unused data. So at this point I’ve got something like 240 MB of data I can use if I want to … which is more than plenty since I have wifi at home and work and there is free wifi in lots of the places I go. Does this still work? I’ve been wondering about rollover data. Are you talking like a day before the expiration? Two or three? i just bought an iphone first generation on ebay and now i want to set it up with a pre paid account…do i need to have it jailbroken? jailbraking kinds of worries me i dont want to mess up my phone…im new to all of this please help…..
Can I use a Verizon iPhone 4 as a prepaid phone? I did these exact steps after getting fed up trying to figure out the whole jailbreaking thing and it worked perfectly. No jailbreaking nonsense required, and none of this “it’s locked to the phone you activated it with for six months”, either. The GoPhone was only active long enough to make sure that my number had ported properly to AT&T and then I swapped out the SIM and changed the APN. It’s been smooth sailing since. No complaints at all. No silly contract and I’m paying about $25/month with data, a messaging pack and minutes. I have yet to run out of data, talk time or texts because I’m not a heavy user of any of those things. If I want to be really cheap I could do just voice, turn off data and get my “bill” down to $8/month or so. This is how wireless should be. I just wish I could also (easily) pick the carrier by swapping out a SIM card. I know I can do that through jailbreaking but quite honestly I don’t have the time to pick up a new hobby. Interesting… How are u only payin $25 a month? Is this an Att plan? Forgot to ask about paygo plans. I need unlimited talk,text. I have wifi at home(I would love to turn off home Internet as would be able to use on iPhone if better deal) I have no wifi at work or other places I go. I use pandora at work all day. What is the best plan if only need Internet at work and maybe for facebook, gps or somethng similar? okay so ive read a few feed backs and im still a little bit conffuzed… can u make an iphone 4 prepaid? Keep in mind that unused DATA kb’s carry over to the next month on the prepay ATT accounts. I was wondering if it was possible to take an iPhone and run it on a different brand, like net10? If you replace the iPhone sim card with the sim card from the net10 phone will it work with net 10? hey i just brought a iphon 3g and im trying to put it on at&t prepaid.. i figured id just buy a simple go phone from wallmart and swap out the sim after i activate it and i did so and the sim works in the go phone but when i put the sim in the iohone it says no service where do i go from here???? if i was to switch a black berry into a prepaid would that work with a 20 message bundle and not charge me any more then that. This is what I did. I went to an AT&T wireless store and bought a pay as you go SIM without a phone. I popped it in my 3GS and i now have voice and text. i dont have any data and i havent tried the work around yet. Im afraid of getting nailed with charges. I think the trick is to get a prepaid SIM that isnt tied to a phone. Has anyone tried this with Iphone 4 on ATT GO Sim recently? I have tried it today and it doesn’t seem to work any longer. I have been using it for 4 months without any problem. Now i am on 50$ unlimited plan. can you tell me how did you get the $50 unlimited plan? I have an iphone 4 with Pay as you go, but there is no unlimited plan show on the att website! Alright, so let me clarify a little bit….I’ve read quite a bit about this…I bought a 3gs from a friend for $150. I then bought an orange 3G ATT SIM card. I called ATT, activated the card (when they asked for the IMEI of the phone, I told them I didn’t have a phone yet and was waiting on one). After the card was activated, they gave me a new number (kept my old cell phone active….I’ll be porting my number here shortly), and everything appears to be working. For now, I went with the 10 cent/min plan just to test everything out. Tomorrow I’ll put $10.00 on the account and see if I can make calls and texts. Oh! Almost forgot, I used an APN changer program to get data but for some reason, I’m only able to pick up EDGE (“E”) so far. I’ll be looking more into it as I go along….circumstantially, if I can’t get 3G data, I can’t justify $75 dollars a month for a plan with only 500MB. I’ll stick with VirginMobile ($55 unlimited EVERYTHING, talk, text, data 3G) and buy the Motorola Triumph for $300. If that’s the route I go, I’ll be selling this iPhone 3GS 16 GB w/ accessories here soon. Hope this helped a little bit. As for you iPhone 4 users….same process, except you gotta have your micro-SIM cut down. You don’t need to cut the card. Just go to a att retailer and ask them for one. Tell them that you need a micro-sim. Its that easy. My thoughts exactly. I mean, if its going to cost $75 a month prepaid and you have to go through all this trouble, why not just get a regular postpaid iPhone account for $85 a month? Not really enough savings to justify the hassle. can you do this on other smartphones? Does this still work? I used us.att for my carrier. When i try to connect to internet it tells me that i cannot connect to server. When i press install the replace screen never comes up. and the internet never works. help… I took it into a store and had them give me a chip. did they do something to know I am using an iphone? so the only way you can use the internet is if you get a date plan?! or will you be able to use the internet without the date plan?!?!?! What plan is this on? Att prepaid? How did you get the internet to work with the $50 unlimited? Here’s my dilemma: I have a certain computer technician ‘stalker’ that has SOMEHOW managed to access and delete my voicemails. My Iphone 3GS does weird things sometimes like shuts off, or gets ‘frozen’. I have a contract w AT&T. I pay on average $120 a month. I use my phone for EVERYTHING! To paying bills online, texting a billion times a day and talking to family out of state. To discourage the stalker, I’ve changed my number (so far) a total of 3 times. An hour or so after I have paid $36 to have it changed, the stalker calls. I’m sick of the ‘blocked’ calls. And I’m sick of worrying about my privacy. Sooo…I thought if I get a prepaid with my iPhone, my phone will no longer be able to be accessed by unwanted people. I’ve read alot of helpful posts, but alas…I’m still confused. Anything is better than $120 a month! I use my iPhone religiously, so I can’t part with my 3G. Will this process still work with the new prepaid plans, or will I still have to buy a data package? So, Theoretically. If I walk into the AT&T store, and ask to buy a go phone sim card, they’ll sell it to me without getting suspicious, and it will be unlocked and have minutes on it? Then I put that sim card in my unlocked iPhone? Right? D: help please, I dun wanna data plan just the regular plan. The unlimited Data plan on the 3g still doesn’t work / ATT PREPAID $50 plan. Nope. It worked! Tonight my husband and I went into AT&T and purchased a $25 pay as you goPhone SIM card. They gave us a new phone number and didn’t ask about what kind of goPhone we have. As of right now we aren’t interested in data… just phone capabilities. We came home and put it in my old iPhone 3G (which has just been sitting around the house) and it worked perfectly! No jailbreaking required! You wrote: Tonight my husband and I went into AT&T and purchased a $25 pay as you goPhone SIM card. So I didn’t even have to buy a phone? Was the phone number built into the SIM or did they set that up for you? Okay, just got the phone, haven’t paid for service yet. Can I use iron like wifi and stuff until I do? I got it up and running on a 3gs by following the article, for which I thank you! I then added a minimum prepaid data plan. Great to have Maps working again. Having Line2 for WiFi and the GoPhone sim for out of the area is working wonderfully. Calls to Line2 automatically forward to the GoPhone number. Billing is a problem. I added $25 before I removed the sim from the phone. When I put it into the iPhone I had to add funds. Not wanting make waves I just paid. Is ATT gonna cut us offf when they realize what we are doing? Your internet worked too? With the 50 dollar unlimited plan? i put my sim card in and even though i tunes shows my number the phone still says no service???? When I put the go phone SIM in the iPhone will I be able to text? If you make the iphone 4 prepaid can you text and use skype or facetime? Hi I recently found an iphone 3gs i took out the old sim card and i restored it and now it says to please insert a valid sim card with no pin lock i was wondering will a normal At&t pay as you go sim card work on my iphone? and if so what are the steps to activate it ? Yes it will work. Get a regular sized ATT GoPhone sim card. You can buy one on eBay for just a few dollars. 1. Go to http://www.wireless.att.com/activations and select Pay As You Go as your plan. Hit Next. 2. Enter the 16 digit code from the sim card, starts with 8901. Hit Next. 3. Enter your zip code (so it can assign a local phone number), and in the IMEI box, enter all 0’s. Hit Next. 4. Enter your email. Hit Next. 5. Choose your plan. $50, $2 per day, or 10c per minute. Hit Enter. 6. Review your information. Click Submit. 7. After it sets up your new account it will give you a phone number and passcode. Put the sim card in your iPhone. Turn on the iPhone, and enter the passcode. Your iPhone can now make phone calls. 8. Sign into your ATT account, and sign up for a data plan, under Buy Feature Packages. They start at $5 per month. 10. The website will ask for what carrier APN profile to use. Select ATT. It will complete the changes to your phone and now you can use ATT wireless data in addition to WiFi. This is not a jailbreak, it just changes the APN settings of your phone so it recognizes ATT’s wireless service for data. This can be set back to factory settings anytime by doing a reset. Dean, you said go buy a data plan for the iphone and then do the APN changer….. do you have to have the data plan first for the APN changer to work cause just doing the APN changer with the 50.00 unlimited does not work for me. What about Verizon iPhones can they be prepaid!?? Well set up to be prepaid account? Can I do this with the $50 unlimited gophone plan.? Yes. When you activate the ATT simcard online, just choose the $50 unlimited plan. Be aware that it does not include data on that plan. I am buying a used 3GS with original Sim tomorrow, that has fulfilled the 2 year contract. I plan to set it up initially as a Touch with GPS (I have a 2nd generation Touch now). I eventually will probably try a pay as you go GoPhone Sim. Has anyone tried upgrading to iOS 5 with either of these setups? Did it work ok? iOS 5 works fine with this setup. I have an iPhone 3GS running iOS 5.0 and I used this method. It worked for a week or two, but then it stopped working. Does anyone have any suggestions for how I can fix my data WITHOUT jailbreaking? I can make/receive calls and text, but data doesn’t work at all. It pays to read the most recent comments!?! Well, I saw the $50 plan with unlimited data and thought this would be a good deal, so I bought an iPhone 3GS from a friend who just got a new 4S. The local AT&T store gave me a new SIM card for free. He asked to see my phone, and I showed him my T-Mobile pre-paid (non-smart) phone. He said he wasn’t sure it would work, but I assured him it would. He wanted to activate it immediately, but I told him I needed to use up all of the minutes on my old plan first. So he just scanned the card into the computer and handed it to me. I thought I could do everything on-line with the AT&T website, but it wasn’t quite so simple because I wanted to port my phone number. I had to activate the card on-line and then call a number. The one they had on the first activation page wasn’t correct, but they eventually got me routed to the Porting Dep’t at 1-888-898-7685. Amanda was very helpful and even called T-Mobile to get my account number — it turns out that T-Mobile account numbers for pre-paid phones are the same as the phone number. But they transferred the number from T-Mobile to AT&T right there on the call — even though the AT&T system showed that it was going to be delayed. The T-Mobile person authorized the transfer so that it would go through immediately. I didn’t add money to the account after I activated it but before I called to transfer my phone number, so we had to do that while I was on the call. I’d recommend that you add some money right after you activate it — even though it still has the new number and not your old number. We tested my old phone, and it worked. I hung up and immediately took the SIM card out of my old phone and put it into the iPhone. I got the bars and AT&T and was able to call my landline. I went to the website listed above and walked through the steps, using ATT as the plan. I then turned off wifi and turned on cellular data. That showed the E (I guess for EDGE). I turned on 3G and that showed the 3G. But, Safari said it couldn’t find the server!?! So I started reading through the more recent comments above and saw that AT&T has wised up and blocks data traffic from iPhones unless you add the Data Plan Feature to your account. Drat!?!!! So I added the $15/100MB option to my $50 plan, meaning I’ll now pay $65/mo. instead of just the $50 I’d hoped for. C’est la vie. BTW, I tried to activate the SIM card with the IMEA number from the iPhone, and it kept timing out. It activated fine — albeit just as slowly — when I used the IMEA number from my old (non-smart) phone. Wow, I should have read your post first. So if I just add another data plan on top of the $50 unlimited plan this will work?? Dave, I added a data plan on mine and it worked for awhile but then it stopped working even though I didn’t use it all up. Not sure why it’s working for you and not for me, but I was assuming AT&T figured out what I was doing and blocked it on my account or something. I have been using the prepaid option on the 3gs for about 9 months now. If I update my phone to ios 5 will that mess anything up? SO THE 50 Dollars unlimited no longer works? Ah damn… I wish I had read this before ordering the plan..
Lol.. Ok, so the APN switch works for the pre-paid plans just fine, you’ll just burn through the data much faster with an iPhone than with almost any other phone. However, the $50 unlimited plan does NOT work.. Apparently AT&T has developed a new app of some sort that allows them to request, from the sim, the model of the phone you are using. Once it detects iPhone on the unlimited plan, you’re done. This was told to me by a rep when I called. I was able to get an iPhone 2G onto the $2-a-day GoPhone plan (I already have a main phone, and I only need this phone on the weekends). I purchased a naked SIM from my local AT&T store, and they activated it and took $15 from me to put towards the balance. This is *much* easier than buying a SIM on eBay/Amazon, or wasting time with a cheap GoPhone package that results in a locked SIM followed by a trip to an AT&T store. Talk & text work just fine. I don’t really need data (wi-fi is excellent), so I haven’t bothered to enable it. I agree walking into ATT would be easier, but I’m 20 miles away from the nearest ATT store, and the mail is delivered to my door. Never had a cell phone before so waiting 2 days for the SIM to show was not a problem. I decided to go with H2O for two reasons, cheaper for people that don’t use a phone much and it looked like ATT really didn’t want people to use Go cards on an iPhone and you basically had to lie to them on what phone you were going to use (hear say only). I didn’t want a data plan either and would not try to get around rules that ATT seems paranoid about. GoPhone(lie if I must) was my first choice till I stumbled across H20. I have heard that if you activate a GoPhone that the Sim is locked to the phone for some length of time. It is only locked into the Go Phone if you put the newly activated sim card directly in the Go Phone. Then the card is locked into the Go Phone. If this happens, go to AT&T store and tell rep that you need a new card and they will take your information and give you a new card (if you need to make up a story about losing your card, then do it). Then take the new card and place it into your iPhone. I have two iphones (a 3G and a 4). The 3 is inactive…but it had the same phone number as the iphone 4. How do I change the phone number on the 3G? Or, does the sim card have a unique phone number attached to it? I’m thinking about purchasing a GoPhone, then telling AT&T my sim card isn’t working and getting a replacement that is unlocked. Will that SIM card be tied to the phone number of the GoPhone, or will it pick up the phone number assigned to the iPhone 3g? If i do not want data on a pre-paid Rogers pay as you go plan and i am not connected to wifi will it allow me to use the internet and just charge me for the data i use? I dont want to pay for data and am content to only use the internet while connected to WiFi but am concerned that if i don’t realize im not connected to WiFi and am browsing that it will cost me! I have iPhone 3GS and my contract with AT&T is over. I just switched to Gophone service today without a data service. I kept the old SIM card and phone number but was told by the AT&T store manager that my old SIM will no longer work with IPhone (because Gophone is not supported on iPhone) and that I transfer the old SIM to a new phone. Well I can see a message on the iPhone that I no longer have cellular data; which is fine. However my voice service is still working on the iPhone; I can still originate and terminate voice calls using the old SIM and phone number with Gophone service on my iPhone, but my old voicemail greeting is no longer working. So I’m confused! Do I keep using Gophone plan with my old SIM and number on the iPhone or should I get a new phone as recommended by the AT&T store manager. Is my new Gophone voice service going to stop working after I reboot my iPhone? If it is working fine, you do not need do anything. Your iphone is locked to AT&T, so as long as you use an AT&T Sim card, you’ll be fine. Gophone Sim is AT&T, so there’s no need to do anything. The AT&T store manager is just repeating what he has been told by AT&T corporate, because AT&T will not make much money if everyone knew you can use the iphone with gophone sims. Can anyone help me, I got the gophone sim to work in my iphone, but can not get the data thing to work. Please help! Me either, did you find out anything. I would really like to get my data working. So if I buy my friends iPhone 3G I can use a cheap phone’s sim card, buy the $50 unlimited talk,text, and web card, it will be able to browse the web? The $50.00 Unlimited Plan will not give you unlimited Data on the iPhone. AT&T has disabled this on the iPhone. You will need to buy the additional data from AT&T. So I’m still wondering if my iphone 3gs will work with AT & T’s $50 unlimited talk, text. and data plan. Is it blocked where you can not use the data? If it is blocked, will they let you add a data plan to an already unlimited plan????? Please help thanks! I read everything on here and I still wonder the same thing, does anybody have any recent experiences with this? Does it still work and do I have to add a data plan or does the $50 unlimited data apply? Trying to do this on an (ex-contract) AT&T iPhone 3G. I’m going to use the $25 plan (250 minutes of talk and unlimited messaging) and maybe buy the data later. With all the free WiFi hot spots, I don’t see the need to buy the additional data plan. I have a jailboken iPhone 3G in my house. I have had the same old phone for a while, and was wondering if I could put the sim card from that into the iPhone without AT&T knOwing or getting charged extra. I do not need or want 3G. YOu can not get the sim card out of a iphone. So obviously this DOES NOT WORK! um actually you can you need to take a small pin and stick it in the top of your iphone to make the card holder pop out!! I have an iphone 3gs. I purchased what I thought was a refurbed Samsung gophone however when it arrived it was new. The sim is locked to this phone for 6 months. I will get another sim card from an AT&T store. Can anyone provide the exact details on activating the new sim without using the IMEI number from the go phone. I have also set up a go phone account. The IMEI number is not important. Just use either the IMEI number from the Go Phone or just use zeros at set up/activation. The real key is not to put the Sim Card in the Go Phone, once it is in the Go Phone it will be linked/locked into the Go Phone. After activating the Sim Card, put the card in the iPhone. Ok I have a used iPhone 3g.. I have a prepaid SIM in it and have the Unlimited Talk, Text, & Data for $50/month. It works as far as talking and texting goes, and I can use Safari as long as I use WiFi. I have followed these instructions to a T, restarted the phone and I see the 3G symbol at the top but when I go to Safari I get this message: “Safari cannot open the page because it could not connect to the server.” SOMEONE PLEASE HELP!! The Unlimited Data plan on the Go Phone doesn’t work on the iPhone. You will need to add the Data Plan from AT&T Activation page. I am having the same problem as Brittany. I read somewhere that the phone is in recovery mode, but not exactly sure what to do about it. Help for the common everyday person would be a HUGE plus. Thanks works like a charm!!!! Hi I have a Iphone 3gs Im trying to use for a go phone. Bought a samsung att go flip phone realy cheap, but havent put minutes on it in a while, do I need to add minutes to it before the “no service” on my iphone will go away? im lost, really need some help? Most likely the phone number on the old Sim Card is no longer valid due to non-use. You will most likely have to get a brand new Sim Card with a new number as the old one has been deactivated (and old number recycled by AT&T). I just restarted the phone, and now its saying “insert valid sim with no pin lock to activate iphone” does this mean i need to get a unlocked sim card from att? New card is probably needed. Just go to AT&T and tell them you need a new Go Phone Sim Card because you didn’t use the old one in a while. Tell them you don’t need a new phone just a new card to use in old phone. They probably will give you a new one at no charge. Ok, I checked the phone today, and it apparrently has minutes left on it, i was able to send text and use the phone, so im assuming just getting a new sim card should work in my iphone? So that’s all I need to get it then and it should work? I was all set to do this until I realized that the $50 unlimited talk, text and web was really just talk and text. If I have to add a data plan, it’s not such a great deal any more. Isn’t there some APN (from the unlockit.co.nz site) I can use so that AT&T won’t see my phone as an iPhone??? Thanks in advance for the help/answers. Actually none of this matters, now. Net10 is now offering a program where you can use your iPhone on their service for $50/month – unlimited talk, text and data! No extra data plan required AND it doesn’t use AT&T towers exclusively – it uses T-Mobile and other GSM towers as necessary. All you have to do to get started is order a $15 SIM card from them. FINALLY! This is the plan I’ve been waiting for! But does it matter if the iphone is locked or unlocked? Or does it matter? That`s AWESOME!!! I`m going for it! Thanx for the heads up! I followed the steps above and my iphone is working with talk/text, but I can’t get the internet to work after I downloaded the apn and restarted the phone. I had a contract iphone with at&t and now have a pre-paid micro sim. Are there any suggestions, the main reason I wanted the phone on prepaid was to use the internet. I had put a $15 balance on the card but used the option of not having a monthly plan but literally pay-as-you-go. OK. So I understand before I do this. I currently have GOPHONE. If i purchase a used I phone I can use my sim card in it. I have gophone 50.00 a month unlimited plan on voice message and data. Will the data work on the I PHONE this way ? My question is, I have a iphone 3g and a pre paid plan but I can not recieve any pictures that come from other phones only iphones! Is there anyway to fix it so I still recieve pictures? I have a question we have been stationed overseas for three years and bought our 3GS iphones here. Can I bring this phoen back to the US and put a prepaid sim card in it or do I need to unlock it since it is an international phone? will work. must use minute/text plan plus a seperate data plan (all prepaid). iphone will not work with the data that is on a unlimited plan for att prepaid. 25$ 250min/unlimited text plus 25$ 500mb data plan equals 50$ bucks, not bad if you never talk on the phone. I want to buy an unlocked iphone 3gs. does anybody have any recent experiences with this? I have an prepaid sim card, do i need get new one? Are you still interested I have an iPhone 3gs for sell on ebay, username ajam6888; only problem I’ve encountered is being unable to send or receive picture messages…AT&T said it’s b/c I am on a prepaid plan with the iPhone. I just recently setup my iphone 3gs with ATT prepaid. I bought a $15 go phone and activated the account in the cheap phone. I then took the sim card out put it in my iphone and it did not work. Called ATT support and asked to have the sim unlocked. When I called them I put the sim back in the cheap phone and it was unlocked while I was on the phone with ATT. I then put it back in the iphone and voila! I went to an ATT store and bought a prepaid SIM card. There is no charge for the SIM card itself but there is a minimum of $25 which must be used up in 90 days. I got a new phone number to go with it. Plug it into my old iPhone 3 (still locked to ATT) and it just works!!! The 3G data is active but I did not test it as I have no idea how the charge will reflect. Instead I turn off 3G and Celluar Data. I have a 3gs and it has the 5.1 iso and I have tried to get the data the way this describes and I can get it downloaded and create a pofile but it does not give me the option to replace and it will not work without wifi. Any suggestions???? IMPORTANT UPDATE: AT&T now requires a $25/month plan to purchase data packages! With a $5/month data package, you’ll be spending a minimum of $30/month. For a cheaper prepaid alternative consider Airvoice wireless’s $10 plan (calls 4 cents/minute, texts 2 cents, data is $.33/MB). Or if your phone is unlocked take a look at Tru (calls $.17/minute, data $.17/MB) which runs on T-Mobile’s network. You’ll have to purchase a data package seperately. Hi, everything I’ve done has worked except I have a prepaid android, I took the sim out and put it in the iPhone 3GS and it says I have no service!! I don’t know what to do. I’ve had the sim in the other phone since Christmas so it seems like it shouldn’t be locked to it anymore! Please please someone shed a little light. Thanks. help! This worked for me for months but last weekend I suddenly started constantly getting a “no service” message on my iPhone 3gs. Bummer! I think ATT finally figured out I was using an iPhone and booted me. Any advice? any work arounds? any one else have this issue recently? Att sux. -.hi…how do you put a sim card in an iphone? ?..i just got mines and im terribly confused..-.-..
Are you sure, I have iphone 3GS, and PAYG from AT&T, but there is no signal on the iphone. Something I didn’t do right perhaps??? I just updated my iphone 3gs to IOS 6 while on this prepaid plan with the internet workaround and ever since I did the update I cannot send/receive pics via text message.. internet and everything else still work fine.. anyone have any ideas?? Thanks! I just updated my iphone 4 to the IOS 6 and cant send or receive pics can i buy the 20 unlimited data card and will that work for pictures? I am having a similar problem now, did that work for you or did you find a solution? HELP!!!! I have iphone 3gs and use it as a pay as you go customer, I’ve had the problem with the data not working so I’ve tried suggestions using Safari. My Problem- I cannot receive or send MMS or picture messages, went to At&t they said since I’m using iPhone on prepaid I can’t use MMS or data. Do anyone know a solution to my MMS?